As a Senior Director, David is primarily responsible for developing new clients and expanding Riveron’s presence in the Houston marketplace. 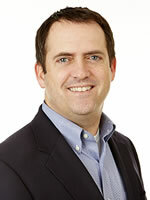 He brings nearly twenty years of experience in business development, account management, and energy finance. David takes a special interest in the relationship aspect of his job and enjoys learning the unique stories behind each executive and company. While providing advisory solutions to private equity firms and public and private companies, he works with his clients to ensure their business issues are addressed and their individual goals are met. David received his BA from Texas A&M, and his MBA from UT Austin. Riveron Consulting is a unique financial consulting firm committed to helping firms obtain the most value from every business transaction. Whether it’s assistance performing due diligence for a new acquisition, support in post-transaction integration, improvement in financial operations, or guidance in planning and executing divestitures, their services will deliver results toward your next deal. Riveron serves private equity firms, portfolio companies, public and private businesses, and lenders across a wide range of industries.